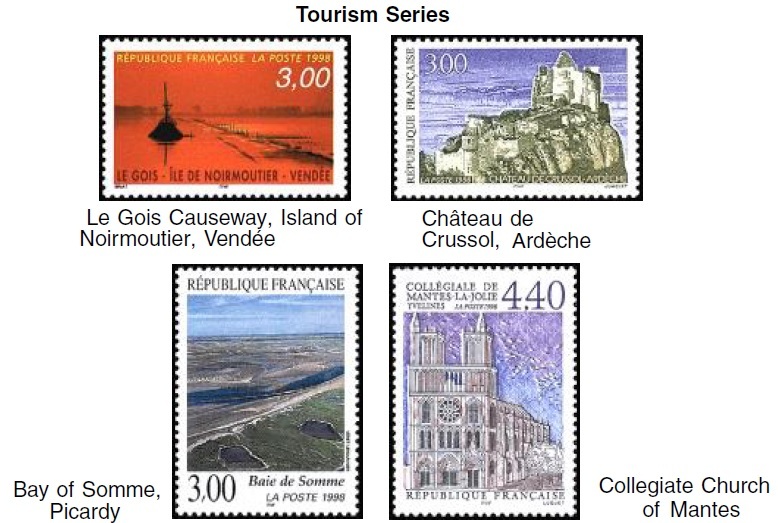 At the bottom of the page there are spaces for 4 stamps titled Tourism 1997. In SG as far as I can see this should be a set of 5 issued from March to October all with a face value of 3 francs. Can anyone with Scott have a look at this set what is the 4.50 franc? Steiner is based on Scott, and Scott groups it differently from SG, which also groups it different from Y&T. 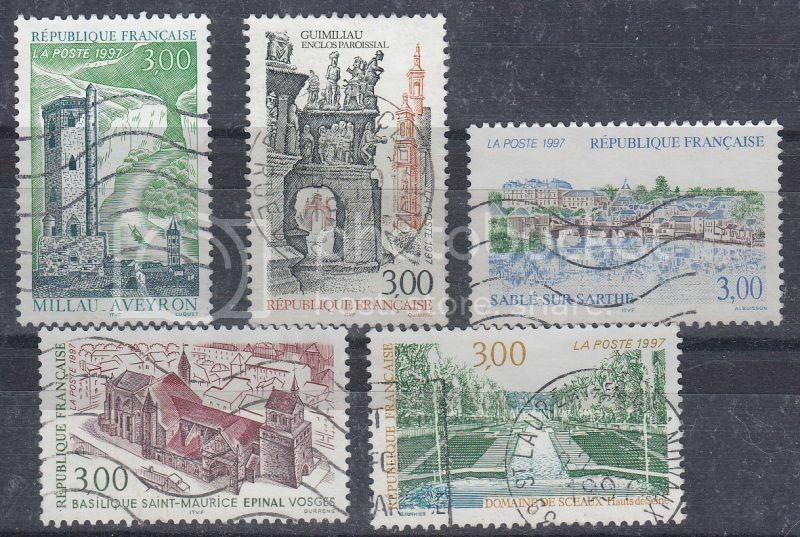 The 4 stamps in Scott would be 3fr Millau, 4.50fr Les Salles-Lavauguyon (fresco), 3fr Guimilliao, 3fr Sablé-sur-Sarthe. The top 3 stamps in the picture are part of the set. Sc 2563-2566. 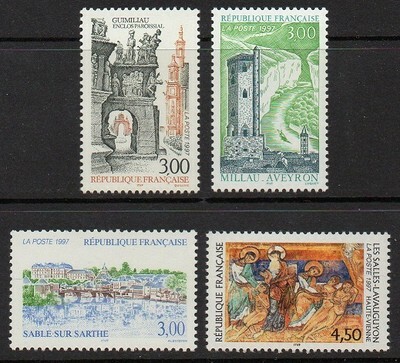 The fourth stamp is a horizontal showing: Fresco Saint Eutrope Des Sailes Lavauguyon. 4.50f. Sc 2564. The left bottom stamp is a single Sc2608. I typed this while khj was posting. Here is a pilfered picture of the 4 stamps to assist you in identification. I have a about 15 country's by Bill Steiner most I use for definitive's which are very good the rest of the pages are designed around mint stamps and not having Scott it makes them hard to follow, as we have seen with France 1997 another example is Cartoon Journey of a letter there is only a place for mint strip of 6 + label and booklet pane of 12 no place for single stamps also this set came Die cut self-adhesive. I may have to rethink about mounting my collection. Plus all my spares are list on my web site. Seriously. I guess you are using SG. Unfortunately, I don't have SG for France, and SG took down their SotW online. Otherwise, I could help you out more directly. I'll see if I can find my Steiner page files next week. Thanks for you your reply, look forward to seeing your page files. It may look tidy but I can still miss place things!! 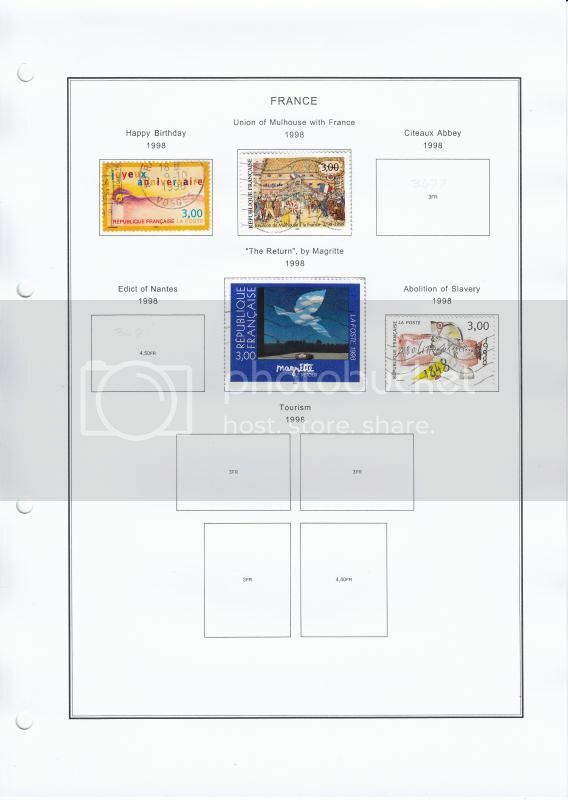 as we have seen with France 1997 another example is Cartoon Journey of a letter there is only a place for mint strip of 6 + label and booklet pane of 12 no place for single stamps also this set came Die cut self-adhesive. As far as I know, Steiner does not make individual spots for all-setenant booklet/pane stamps, nor for individual stamps from a S/S. 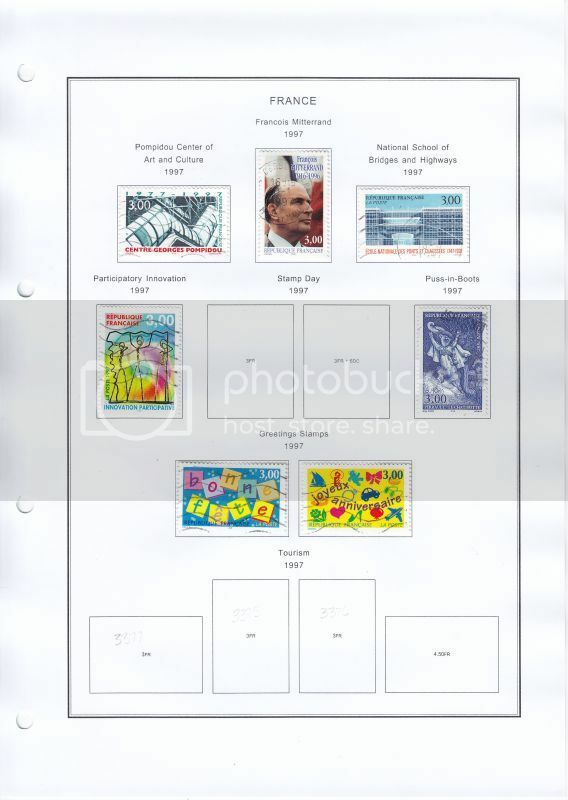 If you collect used singles, you will simply need to mount the stamp in the approximate pane position, or use a generic grid page. There should be a page for the self-adhesive, as well as the 1998 issue. It may be an omission on his part. Just reprint the page, one for water-activated gum and one for self-adhesive. 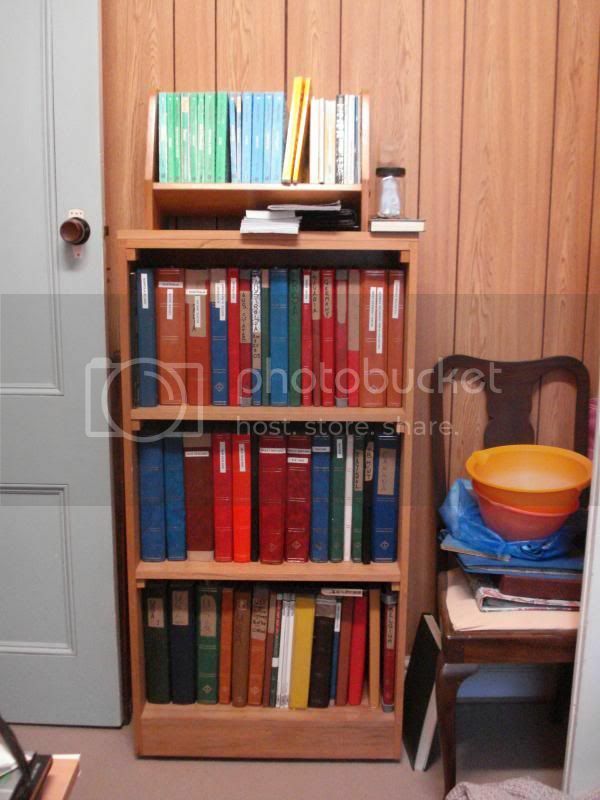 Quote "I'll see if I can find my Steiner page files next week"
Actually, I was just about to post in this thread! I found my 2008 Steiner pages CD about 1 hour ago. I meant my blank pages, not mounted pages. I have most of my France in a 1930s Y&T album. But if you needed any info regarding where stamps go, I can look it up for you now. Just read your post sorry I miss understood I was thinking of Steiner pages with stamps already mounted. I have been looking at Bills pages and a lot do have a title so most I can find a match for I then pencil SG # in the space, take a look here you may be able to see the number. Here is a pilfered pic of the 4 stamps in the set. Many thanks found all SG numbers and penciled them in all I need now is the stamps!! Unfortunately I can't help you there. I hardly have anything after 1990. 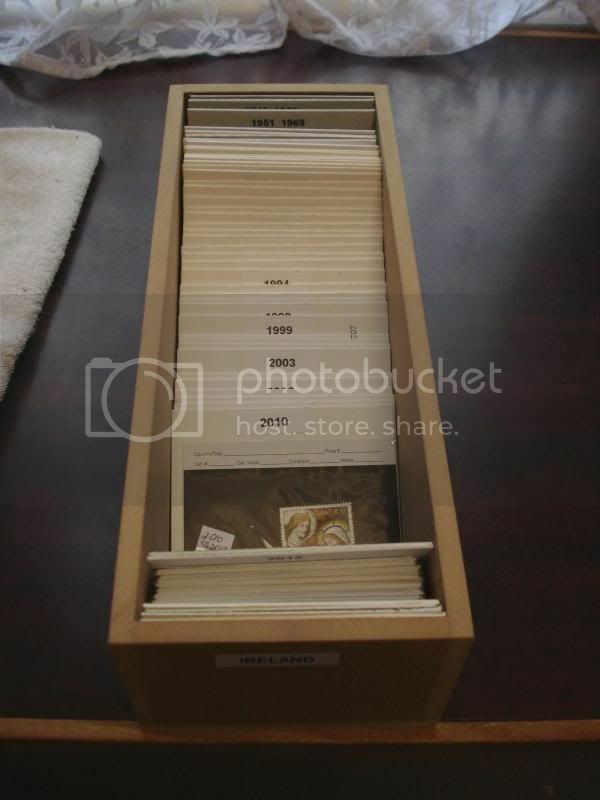 In my 1998 I have 11 stamps from a total of 91 stamps issued in that year. Thank you for all your help. You are very welcome, Tony! One of the great benefits of reply to questions such as yours is that I get to see/research stamps that are not in my collection or that I would normally not often see. So feel free to ask away! Regarding Steiner's France pages, Bill has updated them through 2012.